Tahquitz Creek Golf Resort. Golf Tahquitz Creek Palm Springs. Tahquitz Creek golf course details and information about Tahquitz Creek Golf Resort in Palm Springs, California. 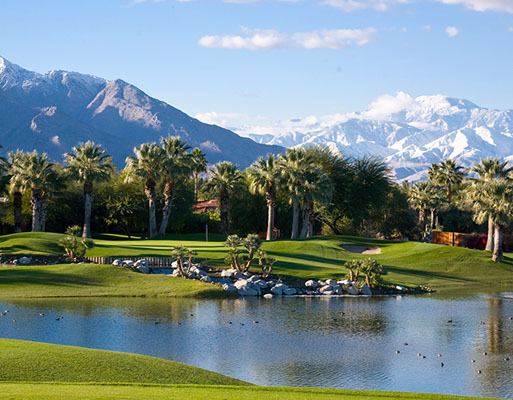 Tahquitz Creek Golf Resort is a public golf course in Palm Springs, California. Golf Tahquitz Creek Palm Springs on two 18-hole championship golf courses. Rated as “One of the Best Places to Play” by Golf Digest, the challenging courses speaks for themselves. Palm Springs Tahquitz Creek Golf offers panoramic mountain views for daily play, tournaments, or group events. They also feature a golf shop, PGA golf lessons, and Traditions Cafe to eat and drink after a long day. The club is within minutes from Palm Springs International Airport and downtown hotels in Palm Springs.